I like to pretend I can eat with chop sticks. I really can’t, though. Philip has practiced before in the past and is somewhat proficient, except I feel like I learned improperly (as in I never officially learned) and now my hands just won’t do what they’re supposed to do. I attempt for about 2 bites and then give up because I want to actually taste and enjoy my meal instead of getting one granule of rice at a time—the exception is only made for sushi, which is easy to pick up and put in my mouth…I don’t feel quite so incapable when it comes to eating sushi. 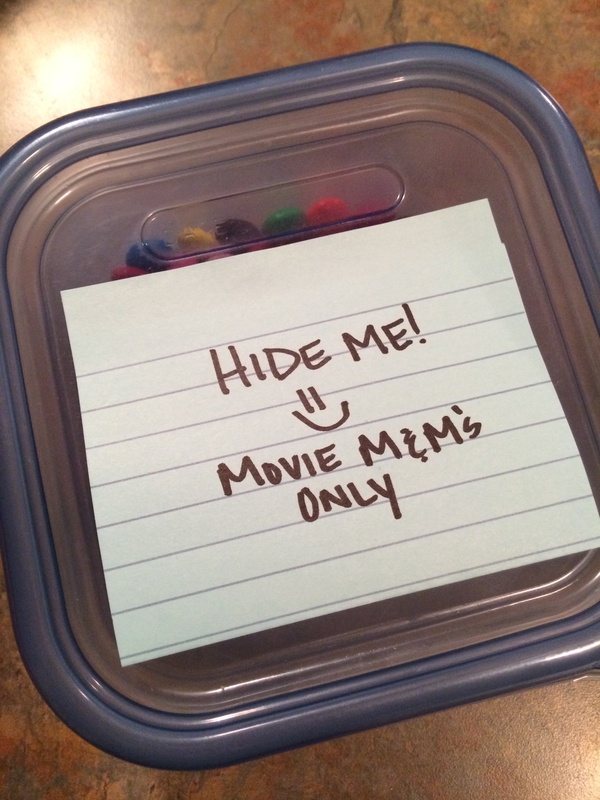 Philip has kept me at it, though, and we practice while we watch movies with our popcorn and M&Ms. 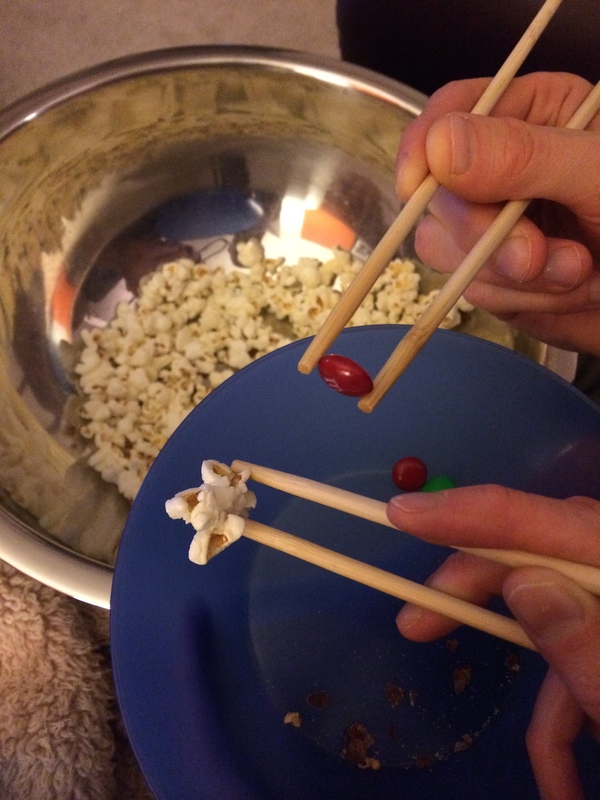 If anything, the chop sticks slow down my ability to pop the M&Ms into my mouth. But I didn’t want to inhibit my ability to eat Kung Pao Chicken that we had for supper recently. 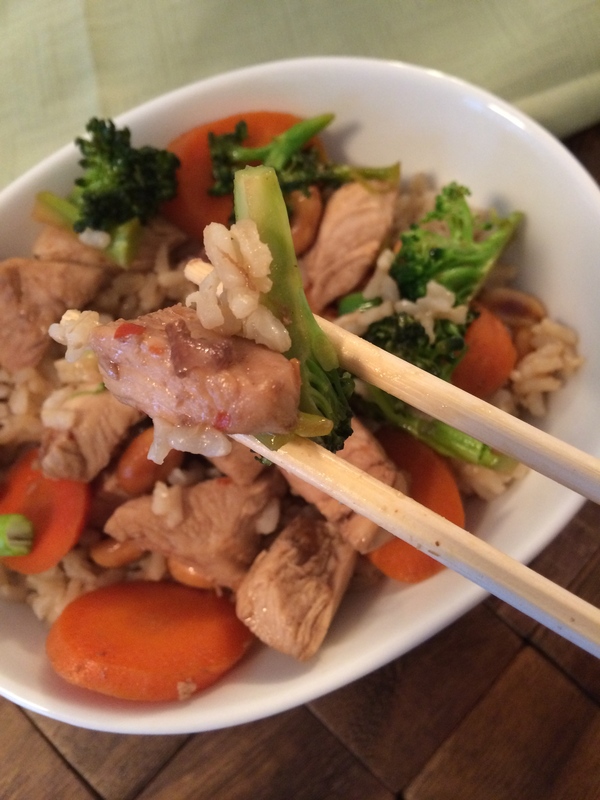 I literally tried the chop sticks for one bite (mostly because I already had them out for the picture) before pushing them aside and quickly grabbing a fork instead. 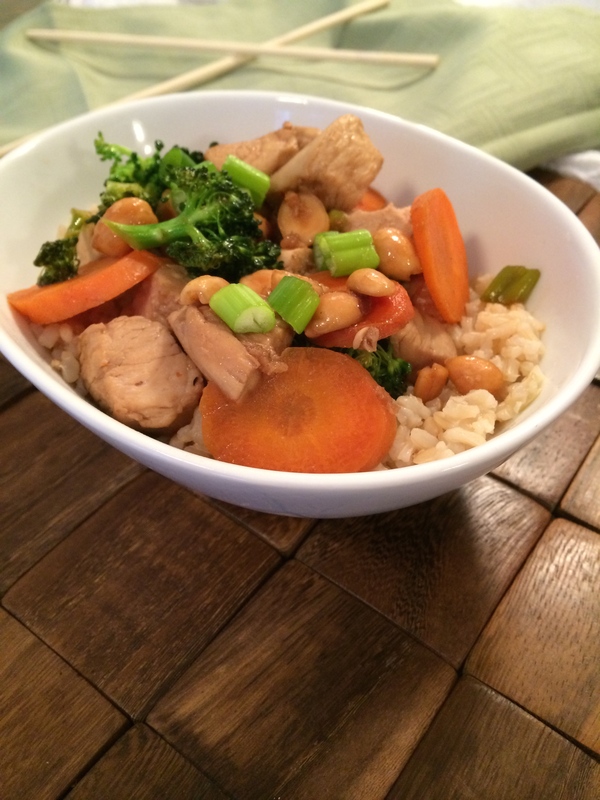 I wanted to enjoy the combination of flavors from the peanuts, vegetables, chicken, and flavorful rice with a spicy kick all together. 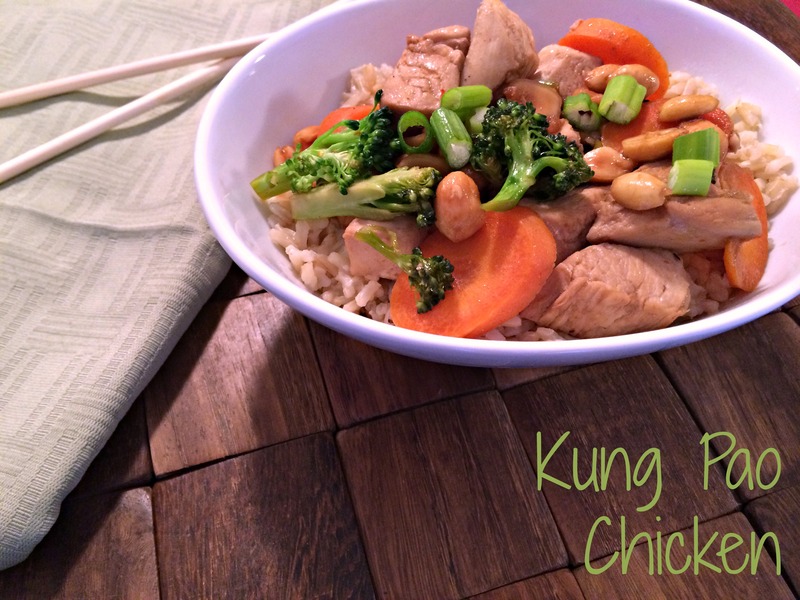 Kung Pao is basically a fancy name for a spicy stir fry that is usually made with chicken, peanuts, vegetables, and chili peppers. I love stir-fries, in general, because they’re quick to prepare, cook up in no time, and are very healthy due to the colorful vegetables added in and the little sauce that is used. For this version of Kung Pao Chicken, instead of fresh chili peppers, I used red pepper flakes. It was just enough to give it some heat, but didn’t overpower the dish and make it really spicy. If you’re concerned, though, feel free to reduce it down to even less red pepper flakes. For some extra depth of flavor, I added in ground ginger (fresh ginger would be even better!) and Five-Spice Seasoning. Five-Spice Seasoning can be found with all the other spices and seasonings in the grocery store. It’s a mix of, you guessed it, five spices that are typically used in Chinese cuisine. The spices used can vary, but most commonly, it includes: star anise, cloves, cinnamon, fennel seeds, and Sichuan pepper (a pepper used in Chinese cooking). All the spices in the Kung Pao combined to give a really powerful punch of flavor without any added salt or being too over the top. The seasonings all combined really well and none of them overpowered each other. I did add some reduced-sodium soy sauce to the mix as well. Even though it says “reduced-sodium,” I wouldn’t say that it’s low in sodium; it’s still quite high. This recipe only used about 2 tablespoons for the whole dish and was diluted down with a 1/4 cup of water, so it wasn’t an unreasonable amount. Often times if there is quite a bit of soy sauce needed in the recipe, it can be diluted down with some water instead of adding the entire amount of soy sauce (which is what I did for this recipe). This recipe was practically done before I even got started. Since stir-fries take so little time, I almost always have all the vegetables I need cut ahead of time and the other ingredients measured out ready to go—otherwise known as mise en place, a French term for “putting in place.” One of my classes I took in undergrad always required us to have our mise en place checked before we could begin cooking. Looking back, it was a good habit to get into. Plus, it makes the actual preparation of the meal go very smoothly. 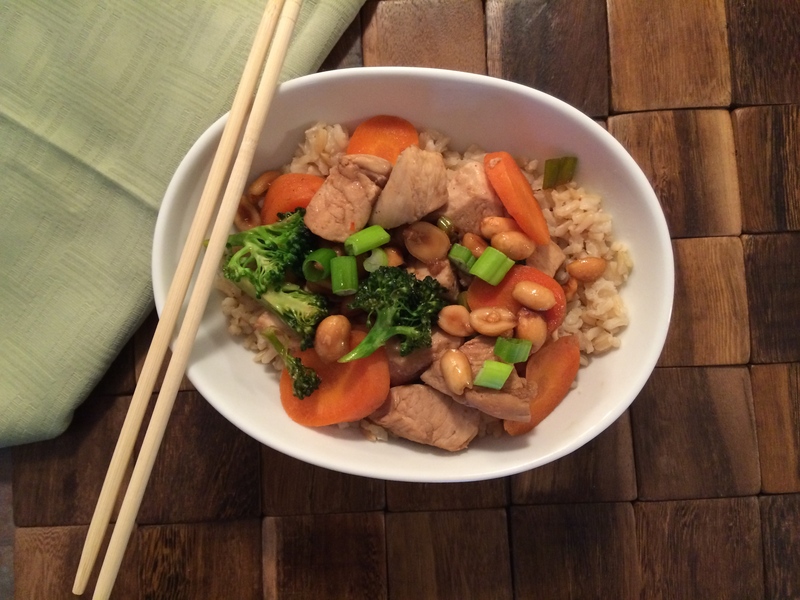 I chose to add in broccoli, carrots and green onion to the Kung Pao Chicken, but in general for stir fry, the vegetables you choose is totally your call. Just make sure it’s nice and colorful—it makes the presentation of the stir fry so much better (not to mention healthier)! In a large skillet on medium-high, heat olive oil. Add the pepper flakes, chicken, and peanuts and cook for 5 minutes, stirring frequently. Stir in the water, soy sauce, carrots, broccoli, onions, garlic, ginger, and 5-spice seasoning. Bring to a simmer and cook for 3 minutes or until chicken is no longer pink inside. Serve with or over top of rice, dividing evenly and garnishing rice with additional onions. Mmmm….always looking for healthier versions of Chinese food!